I want the Jose Padilha’s remake of Paul Verhoeven’s 1987 sci-fi noir classic RoboCop to be good, I really, really do. I want to give the film the benefit of the doubt, but they’re not making that a particularly easy feat to accomplish. The fact that the studio is dumping the picture in early February, a notorious dead zone as far a quality movies are concerned, doesn’t exactly inspire confidence, and nothing we’ve seen so far—neither that trailer nor this new poster—has done anything to change that. The image on this poster is pretty standard stuff. Almost any time that a movie features a solitary hero there’s at least one poster that takes this approach, where a torso-to-head shot of said protagonist takes up the vast majority of the frame. It’s a generic attempt, one that is not particularly interesting. And the stark white background also makes sure to highlight that they changed the color of RoboCop’s suit. Now he’s black instead of silver, in case you didn’t know. Am I the only one who thinks this is what it would look like if KITT from Knightrider came to life? The RoboCop reboot has been one of the more maligned examples in the already detested field of reboots. Honestly, the flick hasn’t been able to catch a break at all so far. First everyone was screaming about rebooting Paul Verhoeven’s brilliant original in the first place. Then the script got leaked and torn to shreds on the Internet. There were rumors that reboot director was José Padilha was miserable on the shoot. The first looks at the redesigned suit earned jeers and sneers from long-time fans. The movie got pushed back to 2014. Hell, even the recent Comic-Con panel didn’t earn the new RoboCop movie any love. But now, finally, the first trailer is here, and we can get an honest first impression. That headline might read like the introduction to a bad joke, but instead it’s the setup for a new art show at the Mondo Gallery in Austin, Texas. And it’s a show that looks to be worth checking out if you’re within driving distance — if not, you still might be itching to get your fingers on prints of some of artist Jason Edmiston’s pieces from his current show, entitled “A Rogue’s Gallery,” which focuses on classic cinematic monsters and villains. 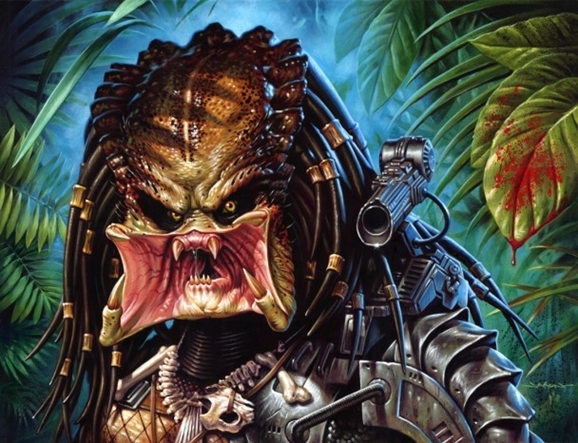 We opened up with the Predator’s camera-friendly smile up above, but he’s just one of many bad-nasties on display in Edmiston’s show, which runs through September 14. A lot of time, people will do portraits of pop culture characters and they’ll try to get really quirky with them, and they’ll be tongue-in-cheek. But I wanted to treat most of these portraits as pretty much, straight-up ultimate versions of these characters, as if they were going to be turned into stamps. You know what they did with the Elvis stamp? They made the ultimate 1950s version and the ultimate 1970s version. Now that the Comic-Con hangover has finally abated, we can get back to the things that matter most on this planet, like doing what robots tell us to do. In this case, we’re talking about RoboCop (which had a mildly interesting Comic-Con panel itself). But this isn’t really about the upcoming José Padilha remake, but rather the manborg himself, and he wants all of us to join his Kickstarter campaign to make Detroit the reputable city that it once was, before…well, before it went all present-day-Detroit on everybody. San Diego Comic-Con may be over, but geeks and genre fans are still excited about all the big announcements unveiled at the pop culture and comic book convention. From The Walking Dead to Marvel’s Guardians of the Galaxy, this year’s gathering showcased some of the biggest geek and sci-fi franchises and properties in all the world. José Padilha’s remake of RoboCop is one film that received some notice as its panel featured new footage, as well as interviews with the cast. Watch the whole thing and see if they can answer the big question, why does a RoboCop remake need to exist? 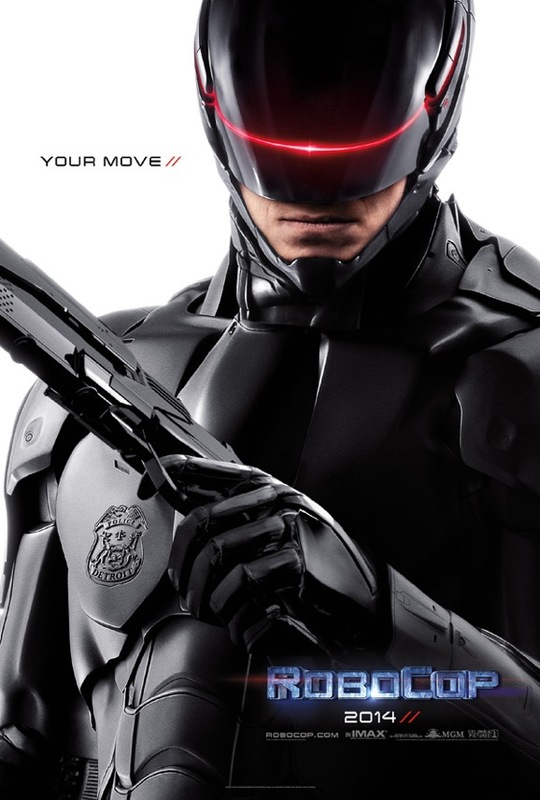 The good people at Geek Tyrant recorded the RoboCop panel for your viewing pleasure. Brazilian director Padilha (Elite Squad) has some big shoes to fill if he hopes that his new film will live up to Paul Verhoeven’s original classic. But honestly, it’s not necessary for the filmmakers to prove why it’s being remade. Remakes, sequels, and reboots exist because there’s an audience waiting to watch them. 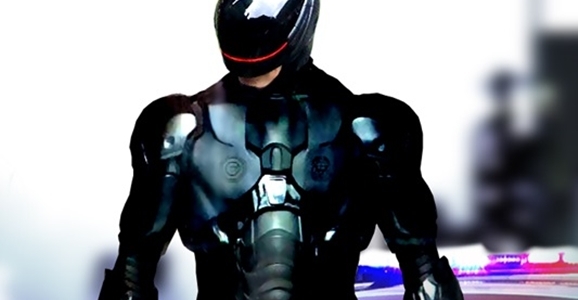 Ready or not, here comes Sony and Screen Gems’ RoboCop reboot. And like every other studio in the world, they’ve taken to San Diegeo Comic-Con to hype their product, which hits theaters February 7, 2014. Just an aside, do they even allow comic books at Comic-Con anymore? Our lovely Internet sibling Cinema Blend was on hand for their panel, and updated us on what director Jose Padhila, and stars Joel Kinnaman, Abbie Cornish, Michael Keaton, and Samuel L. Jackson, had to say about this thing that is happening whether we like it or not. Instead of a traditional introduction where an announcer calls off a bunch of names, everyone claps, and each guest gets a moment to bask in fan adulation, the panel kicks off with a video of Samuel L. Jackson. On a newsfeed, his character, Novak, talks about the American machines that are being used to quell conflict at home and abroad. You get to see silver robots, both humanoid and larger, with sinister glowing red eyes patrolling the streets. The question of the day is why Americans are so “robophobic” that they don’t want these automatons patrolling their own cities. There’s an explosion, and now we’re at a hearing where Michael Keaton rails against robotic police officers, saying they feel nothing if they kill someone. Chaos escalates, and the feed cuts off.